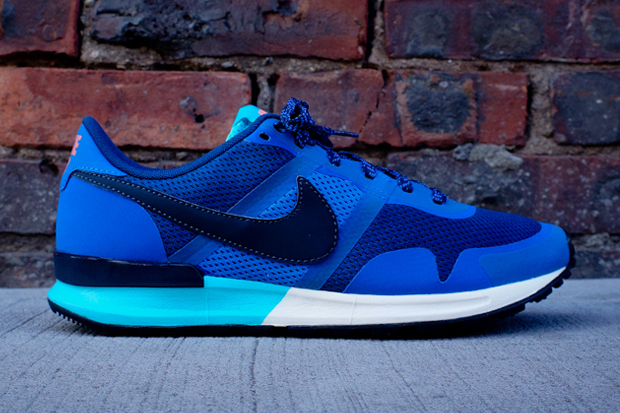 The Nike Air Pegasus 83/30 silhouette returns with a new "Brave Blue" colorway. The no-sew uppers feature reflective synthetic overlays, aqua-colored tongue and a dark obsidian Swoosh, finished off with a two-tone midsole in white and aqua blue. Available now in-store via Kith.